It was a glamorous evening when Actress Aditi Govitrikar crowned Mrs. South Africa Reshica Naicker as the winner of ECNON Haut Monde Mrs. India World Wide season 3 followed by Alka Jawla as the first runner up and Bhavya Gehlot as the second runner up. To make the occasion a more special one, the celebratory evening was joined in by esteemed guests and panel members of Mrs. India worldwide season 3 like Former Miss World & Actress Aditi Govitrikar, Actress Amita Nangia, Actress Eva Grover, Mr. Kushal Rathi (MD ECNON), P.Mohanti, Ramandeep Singh, Designer Shibani Rastogi, Designers Rabani and Rakha, Fitness Trainer Vesna Jacob and Blossom Kocchar. The evening was hosted by Bharat Bhramar,Ishreen Vadi and Amit Goyal Directors of Shri Sai Entertainment Private Limited along with Mr. Kushal Rathi, MD ECNON. Out of the contestants selected from all over the world 20 women were shortlisted to compete after grooming sessions for the Grand Finale. The aim behind organizing Mrs. India World Wide 2013 contest is to reach out to stunning and endowed married women across India to be a part of this mega event and use this platform as door to enter the glamorous world of fame. Eligibility to be Mrs. India Worldwide 2013 is the applicant should be Indian born or residing between 23 to 40 years and should be married. She should not be under any commercial contract with any modelling agency at the time of appearing for the auditions. According to Mr. Bharat Bhramar, Founder & Chairman of Shri Sai Entertainments Pvt. Ltd,”Mrs India worldwide gives an opportunity to stunning and endowed females from India, to use this platform as a door to enter the glamorous world of fame, attracting a lot of fanfare”. The winner’s for the past few years in the following category were Mrs. India Worldwide 2012 was Rebecca Benn Logan, Mr. India Worldwide 2013 was Raghav Sharma and 2013 was Sahil Singh. 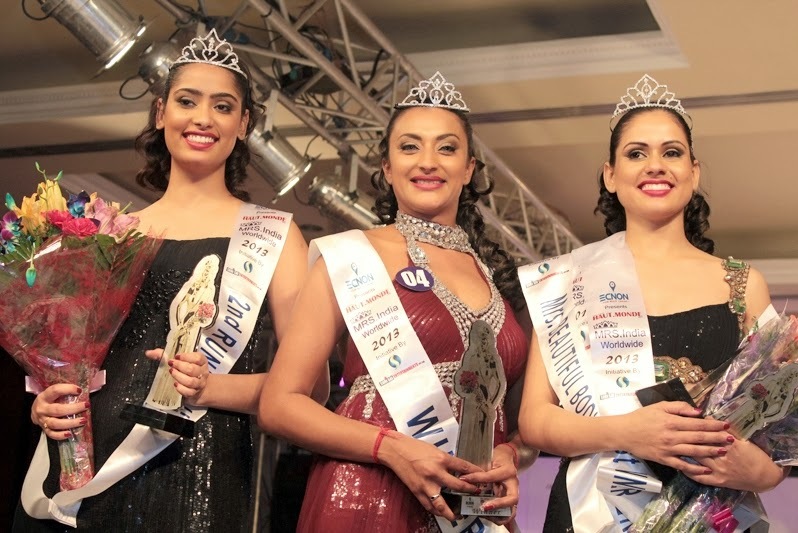 In Miss North India Category the winner were Nancy Gupta and Isha Singh for 2012 and 2013 respectively.